A new update has started hitting the Sony Xperia XZ and X Performance smartphones. 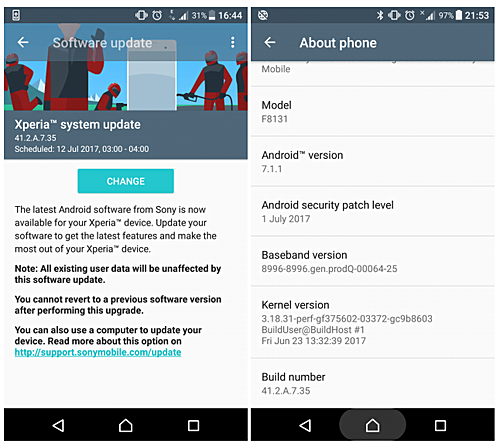 Carrying a build number of 41.2.A.7.35, the update brings along Android fixes for July - post update, security patch level shows 1 July 2017. Aside from the latest security patch, there's no information on what other changes (if any) are included in the update. As the roll out has just begun, it may take time for the update notification to pop up on your handset's screen. Sony Rocks with there Flagship beaSt updates! !